Hello again!! 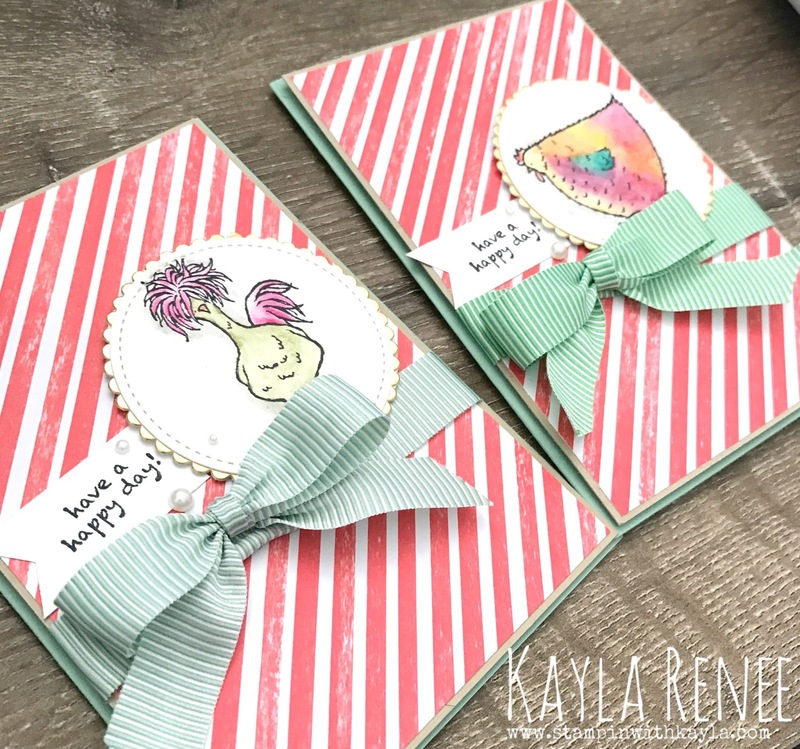 and welcome to another post where I am coming with a card I made for the Crazy Crafter's Friday Highlights. I really enjoying coming and sharing these posts as I can highlight a project that I have made this week. 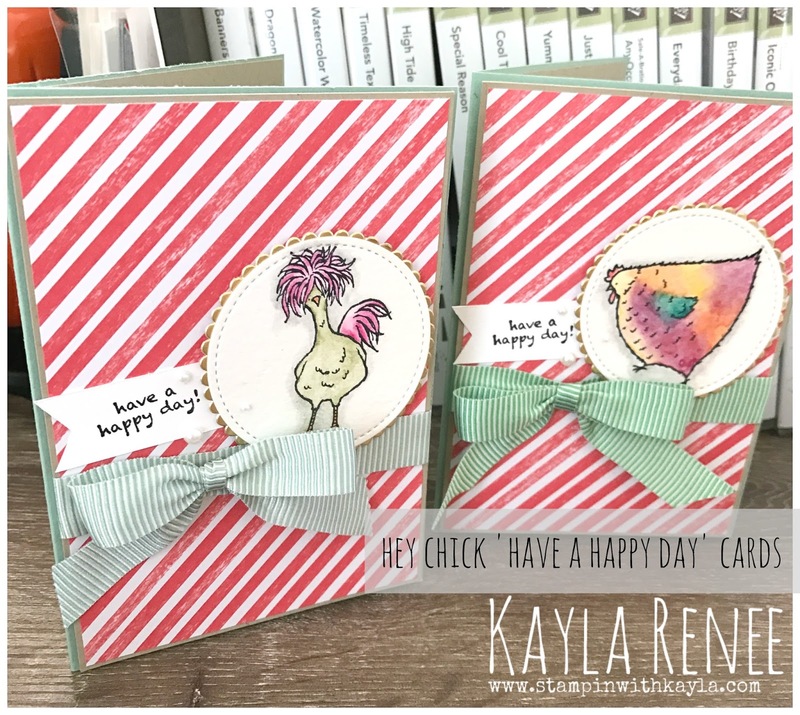 I realised that Sale-a-Bration is (too quickly) coming to a close and I still hadn't use this gorgeous and ever so popular HEY CHICK stamp set, so I dug it out along with my Watercolour Pencils (from the Occasions catalogue) and had a play and I really love how it turned out! If you would like to vote for my card, you can do so here. I also decided to somewhat highlight the soon to be retired (at the end of this annual catalogue which ends in June, so still a few more months) In Colours from 2015-2017. This is our lovely; Mint Macaron, Cucumber Crush, Watermelon Wonder, Delightful Dijon and Tip Top Taupe. I have to say I am going to be SO SAD to see Mint Macaron and Watermelon Wonder go!! On these cards I have featured the Tasty Treats Designer Series paper from the Occasions Catalogue which features the Watermelon Wonder along with Cucumber Crush and Mint Macaron ribbon! Here's a little close up of the cards. I have used the gold foil paper along with the Layering Circle Framelits to create a bit of 'oomph' to the feature of the card, the chicken! A little look at the inside of the card. 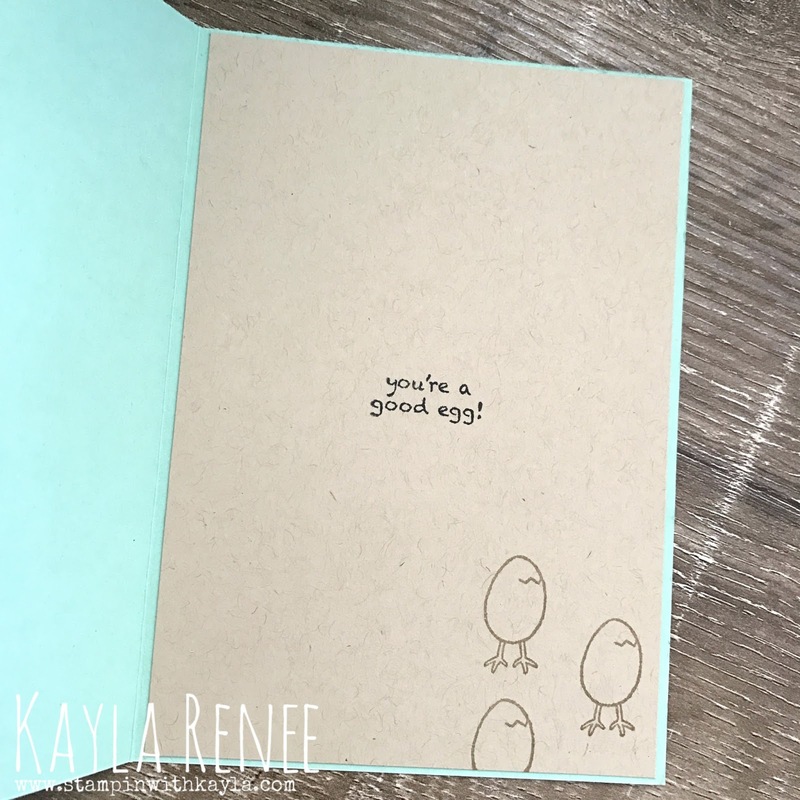 I love this little egg stamp and matches so perfectly with the card. I have stamped it on crumb cake card stock with crumb cake ink and finished with a sentiment stamped in black. 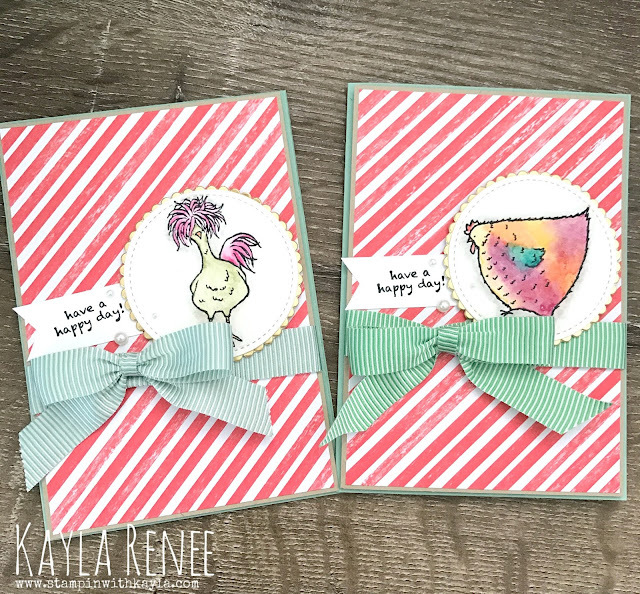 I hope you have enjoyed a look at these cards I made today.